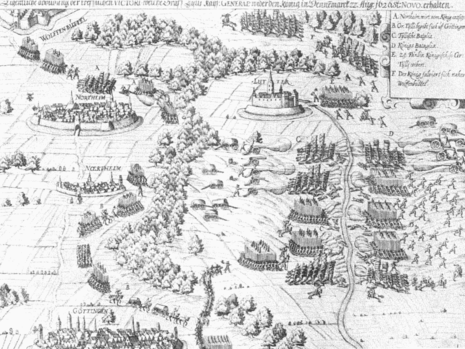 The Battle of Lutter (Lutter am Barenberge) took place during the Thirty Years' War, on 27 August 1626, between the forces of the Protestant Christian IV of Denmark and those of the Catholic League. Lutter am Barenberge lies to the south of the modern town of Salzgitter, then within the Imperial Circle Estate of Lower Saxony, and now in northwest Germany. The battle resulted in a heavy defeat of Christian IV's troops by those of Emperor Ferdinand II, led by the Catholic League general Johan Tzerclaes, Count of Tilly. Christian IV, as a Lutheran, allied with Ernst von Mansfeld in a military campaign he had planned to start in Thuringia in central Germany, and then take to its south. His intention was to bring relief to German Protestants, who had been severely defeated a few weeks earlier in the Battle of Dessau Bridge. With the participation of Christian IV, the Thirty Years' War, which had hitherto been confined to opposing factions of the Holy Roman Empire, now extended to other European powers, though Christian, as Duke of Holstein, was not a complete foreigner. Tilly succeeded in drawing Christian's army to Lutter and forcing it into open battle. The imperial infantry broke through the Danish line on three occasions but each time was repulsed by a cavalry counter-attack. However, eventually the Danish army was no longer able to maintain its ground and when its entire artillery fell to the hands of the enemy, panic set in and the Danes retreated towards the town of Stade. The Danish losses were approximately 6,000 dead and 2,500 prisoners. Following the Battle of Lutter, the princes of north Germany as far as Mecklenburg ceased their support of Christian IV. 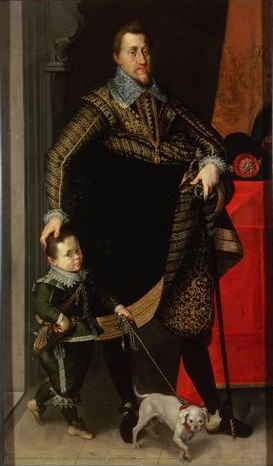 The victory of Ferdinand II and his allies proved a disastrous start to the Danish campaign in Lower Saxony, which was brought to a close in May 1629 with the Treaty of Lübeck. The battle thus marked the decline of Denmark as a great European power. For twelve years Christian IV had devoted himself to the labors of peace, when he was a second time compelled to take up arms. The Thirty Years War was then desolating Germany, and the Protestant princes, who were on the point of being crushed by the imperials, appealed in their distress to Christian IV, who was elected director of the "circle" of Lower Saxony and commander-in-chief of the army. His German allies had made brilliant promises to decide him to take their cause in hand, but at the crucial moment they failed to.keep them; nor did Holland, France, and England, which had promised him large financial aid, fulfill their obligations. The consequence was that the king, in spite of his courage and strategic ability, conducted a disastrous campaign. The success he had in the beginning came to an end when he fell from his horse from the top of the ramparts of Hameln, an accident that incapacitated him from command for a long time. After a desperate and long-drawn-out struggle which lasted from eight in the morning to five In the afternoon, he was vanquished by the Bavarian general Tilly at the battle of Lutter-am-Barenberge (1626). This defeat placed Denmark at the enemy's mercy, and the following year, under Tilly and Wallenstein, they seized Holstein, Schleswig, and Jutland. Wallenstein tried after this to make himself master of the Baltic and thus to complete the conquest of Denmark, but Christian IV defeated this plan with the aid of his fleet and prevented all attempts from that quarter. As he could expect no help from his allies, and as the situation of the kingdom was becoming more critical every day, and the rigsraad besides was pressing him by prayers and even threatening remonstrances to make peace, he finally, in 1629, resolved to conclude the Treaty of Liibeck. He promised to interfere no further in the affairs of Germany and gave up the dioceses of Bremen, Verden, and Schwerin, which he had previously acquired for his sons Frederick and Ulrik. The terms were comparatively favorable, but Denmark was left in a melancholy plight, all the resources of the state were dissipated, and half of the kingdom, Holstein, Schleswig, and Jutland, had been two years occupied by an enemy who had ravaged these countries to a frightful extent. A well-organized state, under such a king as Christian IV, would have recovered its forces, but Denmark was dominated by an egotistic and unpatriotic nobility, whose stubborn refusal to stand a share of the public expenditure brought to nothing all the king's attempts to restore the nation. So the situation became worse and worse; fourteen years later a still more ruinous war broke out, and still ten years later a third, which brought Denmark to the very brink of destruction. In this state of public distress it became evident that a new spirit was beginning to animate the people and that they were no longer willing to endure patiently the tyranny of the nobles. Christian IV was constantly increasing the Sound dues, and he believed himself the more justified in doing this, since he fitted out annually and at great expense a considerable fleet for the protection of navigation in the Baltic during the general European war. This increase in the tariff, joined to the king's pretension of being master of that part of the North Sea which lies between Norway and Iceland, aroused much discontent and provoked many protests from all the maritime powers, especially the Dutch and the English. But all complaints remained without result while Denmark was flourishing and in possession of a formidable navy. 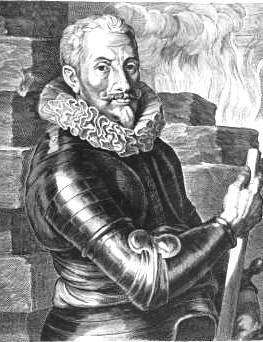 When, however, the king, pressed for funds after the war with Germany, raised the Sound dues so that a ton of saltpetre, for example, had to pay 14 rix-dollars to the customs, in spite of the protests of the Dutch, that nation entered into a close alliance with Sweden and watched for an opportunity to get away from Denmark those provinces lying to the east of the Sound.